Composer and piano teacher Elena Cobb presents a thoroughly modern approach to learning the piano. 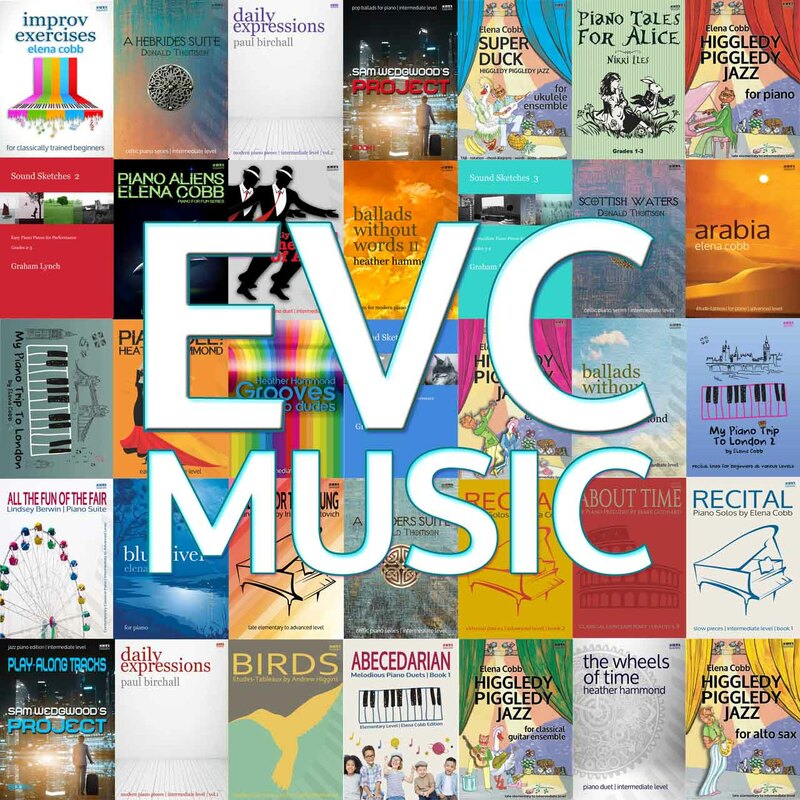 She has written a whole collection of educational books which feature in her highly successful Higgledy Piggledy Jazz series and Blue River, jazz inspired piano pieces for more advanced players. 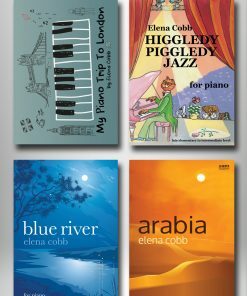 Higgledy Piggledy Jazz deals with the often feared concept of improvisation, and the idea behind this series according to Elena is to promote ‘Improvisation for the Classically trained pianist’. Her pieces are designed for those who enjoy lively, syncopated, jazzy, tunes, which all introduce elements of improvising; encouraging young players to think outside the box and make-up their own melodies within a rhythmic framework. Nor content to sit on her laurels, Elena’s latest work has a totally contrasting character. ‘I never said I was a jazzer!’ she commented and so the new piece, Arabia: Etude-Tableau, is aimed at a completely different pianist. 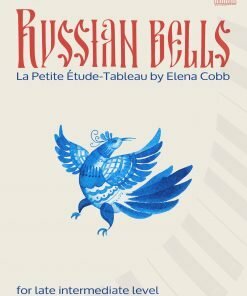 Elena says ‘This musical composition is for the young virtuoso at late intermediate to advanced level’. Looking at the score, this piece would most comfortably be suited to the Grade 8 student (although Grade 7 or diploma students could also find it fun to play). The piece provides plenty of variety and interest, a prerequisite occasionally lacking in educational works. Arabia was inspired by a train journey across the desert taken by Elena as a young child with her family. 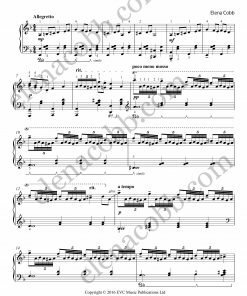 These memories are heard clearly at the opening, where a couple of recitative/improvisatory style solo treble passages create the necessary Arabic flavour. The main thematic material, stated from the third bar, consists of colour and mystery provided by ornamental flurries and florid melodic inflections. The melody is then briefly restated in octave passagework in the right hand, thus revealing the real test of this little piece. The sub heading, Etude-Tableau (‘Study Picture’), was probably inspired by Rachmaninov’s two sets of works with the same title, Op. 33 and Op. 39. 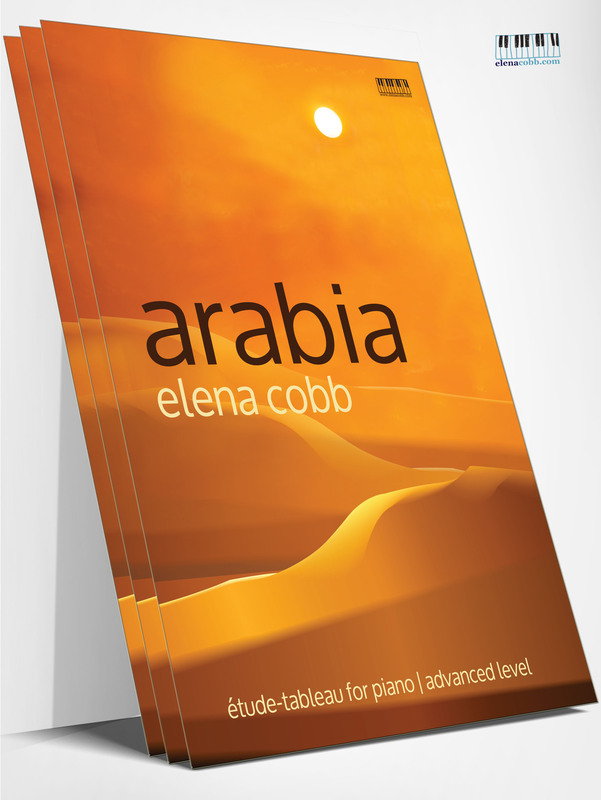 An Etude is basically a study or technically demanding yet musically satisfying exercise, and Arabia is a test primarily in octave technique. Over the next few pages, several types of octave passagework are explored (dotted rhythms, leaps, octaves in both hands, and split octaves) which are often accompanied by a chordal off-beat bass part, played by the left hand. The aim is to develop a reliable, secure, and relaxed approach to tackling octaves. Many might balk at the prospect of young pupils playing copious repeated octaves (care is certainly needed when teaching this technique as repetitive strain injury can be a problem). However, there are plenty of opportunities here to ‘rest’ the hand (with less taxing figurations in between) and the tempo is fairly moderate, only really speeding up towards the end of the piece. This work is the ideal first octave study for students with the appropriate hand stretch, virtuoso prowess and energy levels! This is one of my favourite pieces composed by Elena Cobb ( my other favourite is Star Dust ). It is very imaginative and atmospheric. Some of the octave passage writing remind me of Liszt. I do not yet have a pupil advanced enough to tackle this yet, but this is definitely a piece I’ll keep in my teaching repertoire. 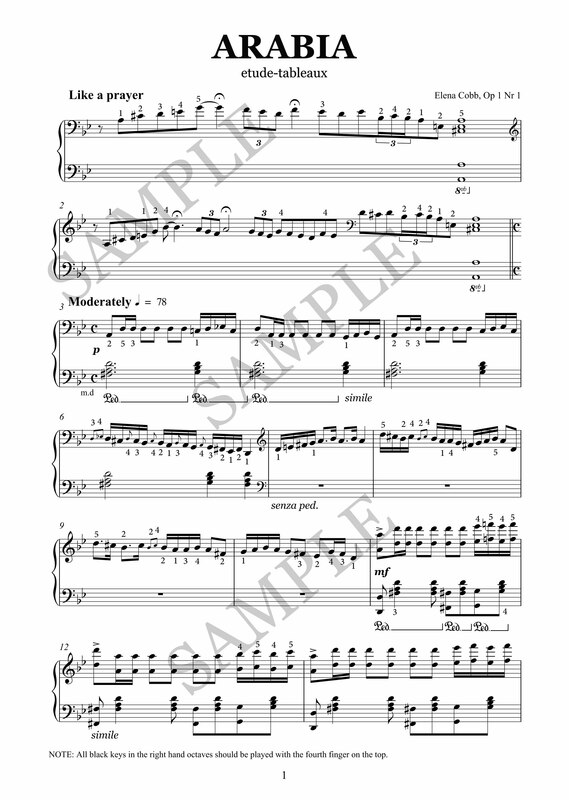 I can’t wait to start learning this piece myself! Elena – this piece of yours is SO beautiful and exquisite! It’s hard to put into words… -somehow this piece captures all my senses and carries me to far-off places as I am wrapped up in the story of its melody.? What a beautifully, rich piece it is! Kudos to you, the composer.?????? This piece revitalises the intrepid traveller bug in me.. so very evocative.. even more so as it is written by someone who lives and breathes its pianistic style perfectly! 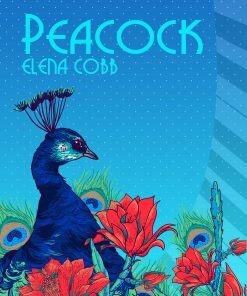 Thank you, Elena Cobb! Last week I researched the repertoire for my student to play in the competition and yesterday I finally could introduce this wonderful Etude to my student and he really liked it. 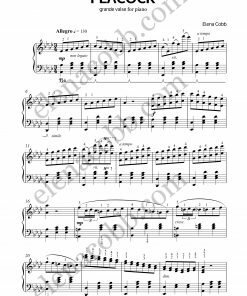 This Etude is a challenge for my student’s level at the moment but I hope he will do his best and one day we would be happy to send our video to the author Elena Cobb!